The Lexus GX470 has a lot going for it. Great power, indestructable drive train, and luxury. However, it is severely limited in it's off roading capabilities by it's suspension. 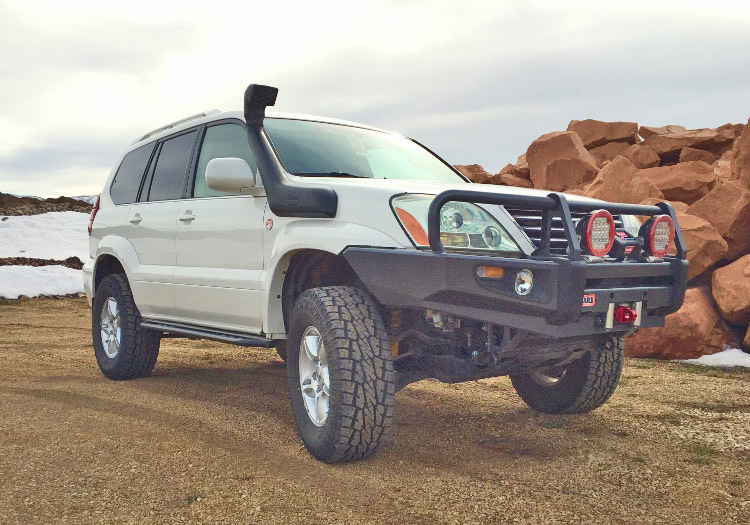 With some relatively easy modifications you can convert your GX470 from rear air bags to coil springs. 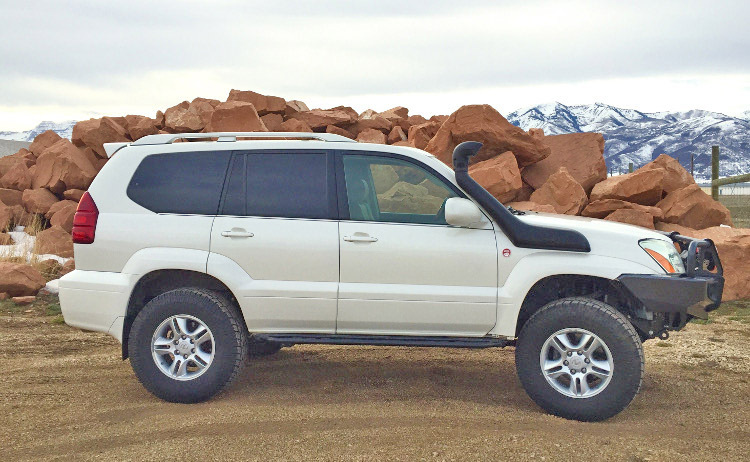 Because it shares the same chassis as the Prado 120, 4Runner, and FJ Cruiser, the components for those vehicles fit it perfectly. 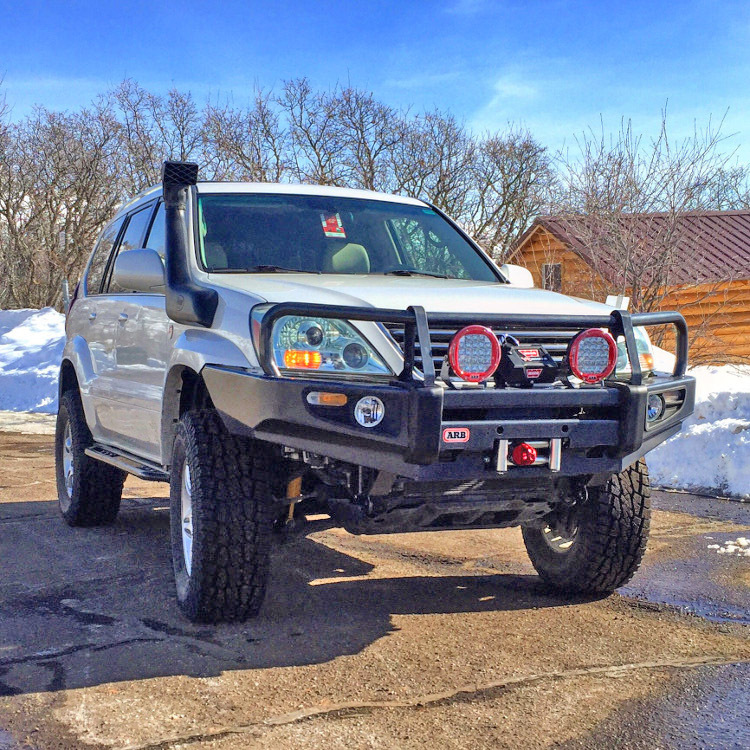 Why Use Old Man Emu on a GX470? In the world of quality offroad suspensions, there's Old Man Emu, then there's everything else. OME suspension is all about increased load carrying capacity while balanced with low spring rates for a soft ride, improved handling, comfort and control, and better articulation. All OME suspension items are designed in Australia to meet the demanding conditions found in the bush, and the Australian outback. OME suspensions are simply the best riding and performing springs on the planet. If you are seeking a super trick suspension to put on a barely-legal competition rockcrawling machine, you'll need to spend your thousands elsewhere. If you are seeking a suspension that provides the best balance between street comfort and offroad performance, look no further. Many suspensions out there are more well recognized due to huge ad budgets, but we've owned and ridden with them and frankly, they all ride brutal. OME suspensions are world famous for their luxurious ride quality. And when the time comes to hit the trail, they flex great rather than stand rigid as most other suspensions do.